The North Room, furnished with industrial wooden tables and expertly mismatched chairs, creates a dynamic, yet professional setting. The steel-sliding windows can be left open to enjoy the buzz in the coffee bar or closed for private occasions. Individual tables allow for multiple seating configurations. 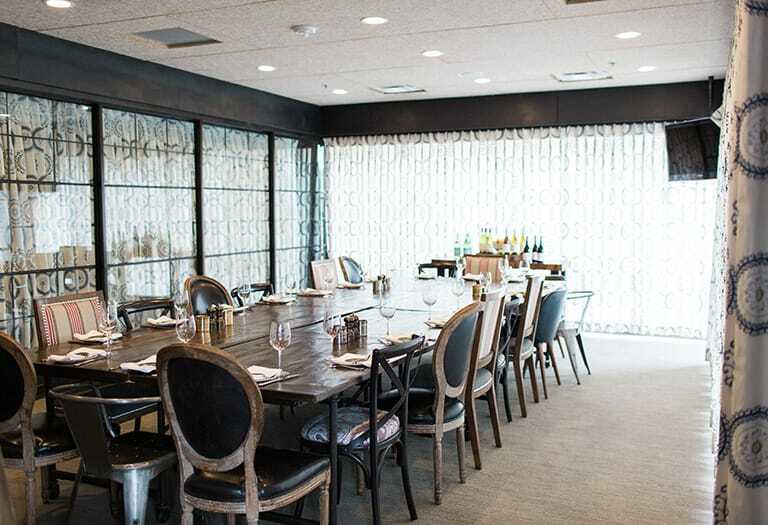 The South Room is perfect for a rehearsal dinner, baby shower or corporate meeting. 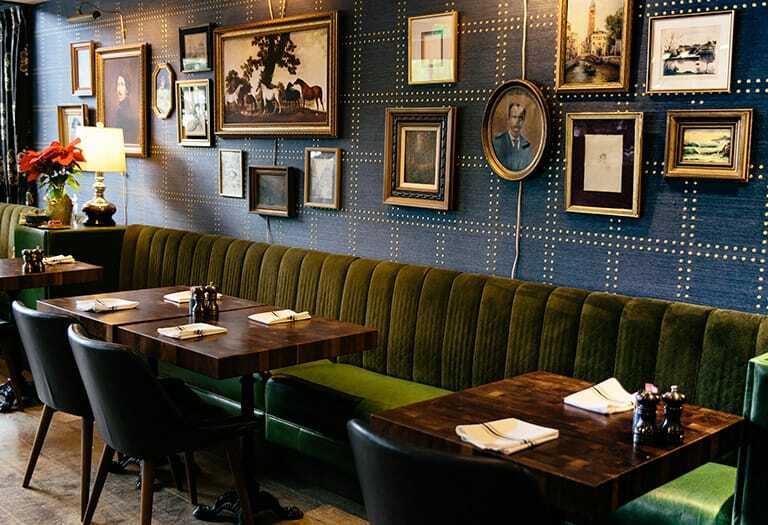 Furnished with industrial wooden tables and expertly mismatched chairs creates a fun and dynamic, yet professional setting. Individual tables allow for multiple seating configurations. For larger events or cocktail reception, the North and South Room can be combined. 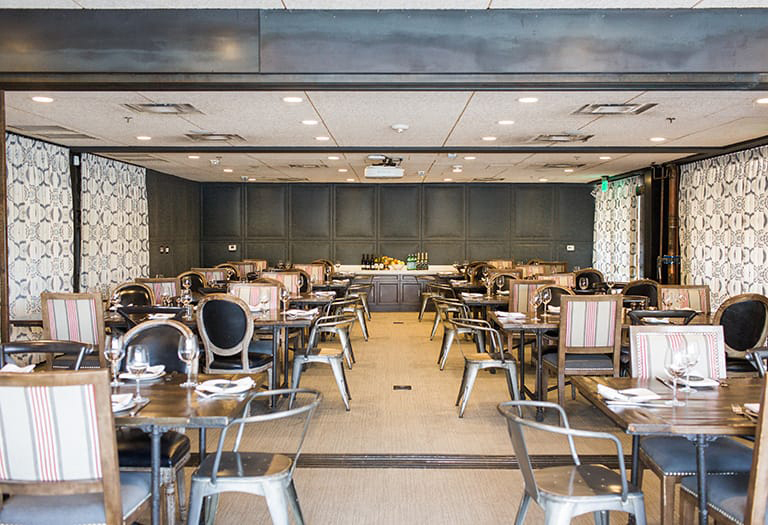 The Private Kitchen is the heart of Fox Restaurant Concepts, where recipes are tested and menus are developed. Treat guests to a chef or mixologist demonstration during an intimate dinner. 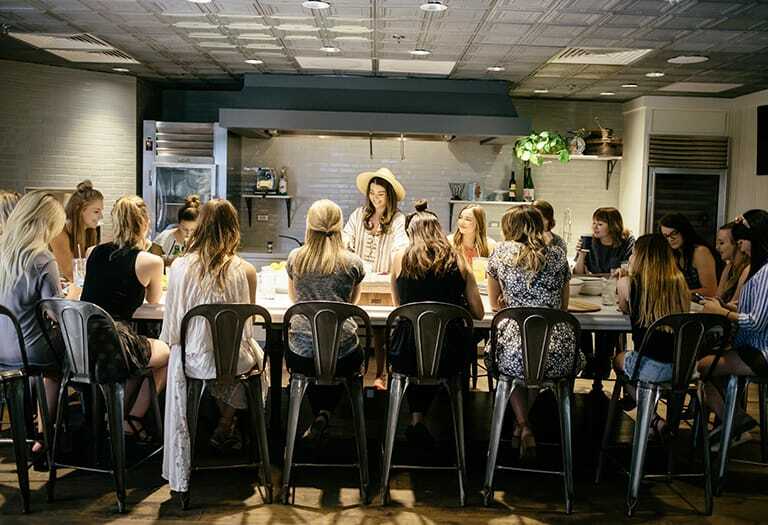 Observe the Henry's kitchen in action or close the doors for a more exclusive experience. 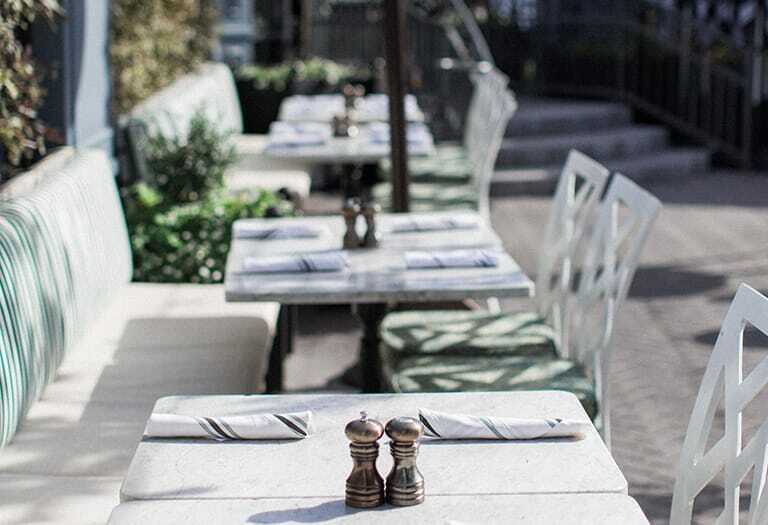 The East Patio is adorned with classic wicker chairs, marble table tops and screened with lush greenery for a more exclusive feel. Climate controlled heaters and misters ensure it's comfortable all year, a fireplace surrounded by lounge chairs keep the space casual and inviting. The Henry beckons you in with a timeless vibe, a blend of Gatsby-era elegance and modern industrial cool. 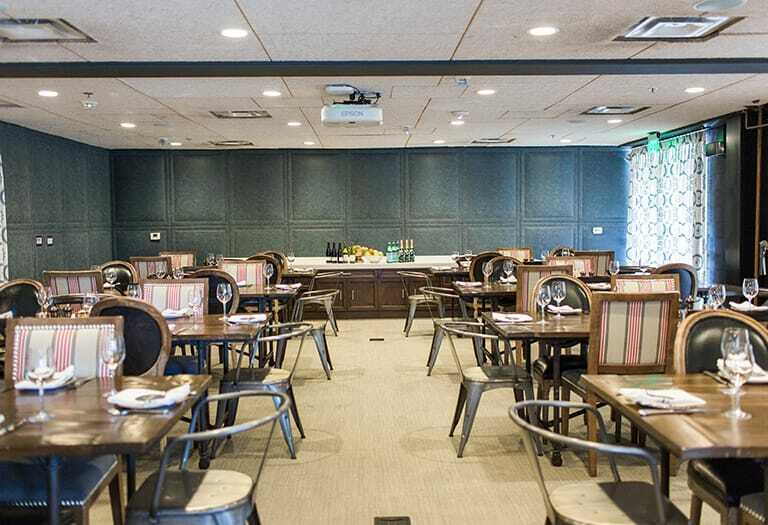 With two private rooms, an enchanting patio, or our test kitchen, the premier space for a chef’s dinner, your go-to for a memorable event is the greatest neighborhood restaurant: The Henry.